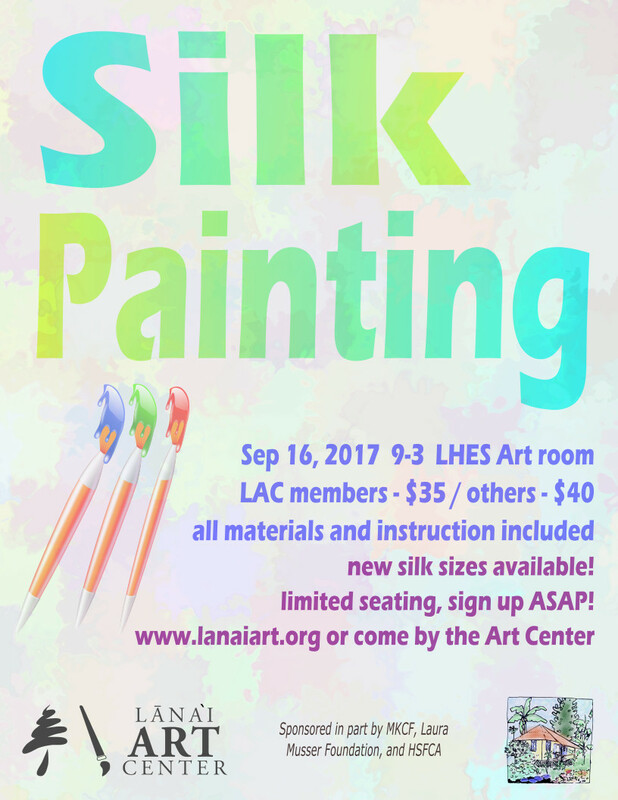 Here's another oppportunity to learn how to make your own hand painted silks. Michelle Fujie will once again be guiding you in your own creations. We have new silk sizes available to broaden your options. Make a scarf, pareo, table cloth, wall hanging or whatever your imagination dictates. All materials and instructions are included. You will go home with a beautiful piece of silk art!